The pattern is Angelus by Emma Galati and this is Rebecca‘s lovely version in SweetGeorgia Tough Love Sock. It’s just so fabulous, color combination and all. Just 2 skeins (one in each color) will make up a generous scarf/small shawl. If you like the braided edging but are looking for something in a single color or in a thicker weight, I also love French Cancan. Pretty details with a healthy dose of garter to keep things simple. 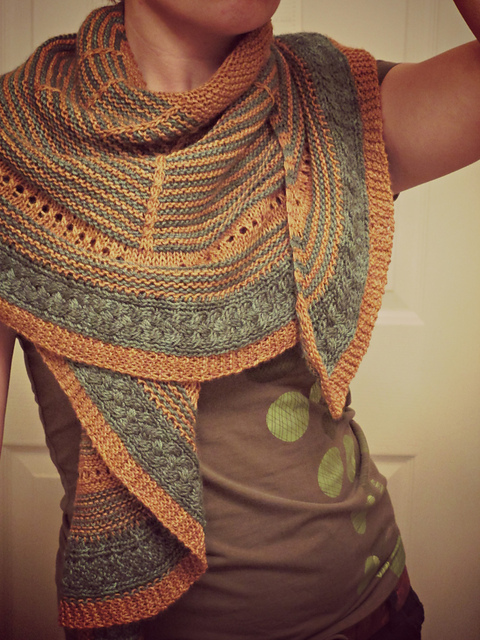 This pattern would be perfect in Madelinetosh Merino DK (perhaps in Torchere…. 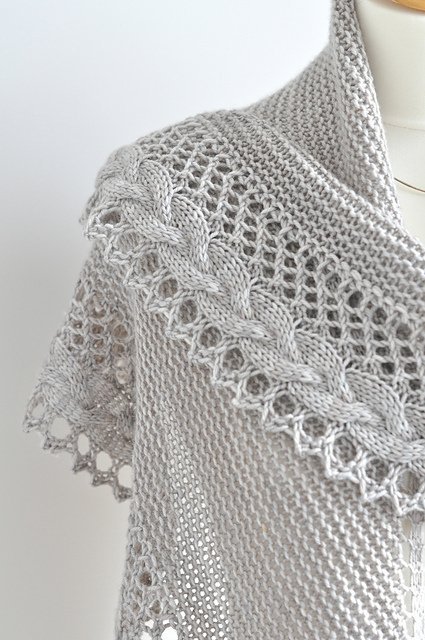 ), or Aslan Trends Royal Alpaca, something warm to wrap your shoulders on the blustery days! This entry was posted on Sunday, April 7th, 2013 at 10:14 pm	and is filed under Uncategorized. You can follow any responses to this entry through the RSS 2.0 feed. Both comments and pings are currently closed.